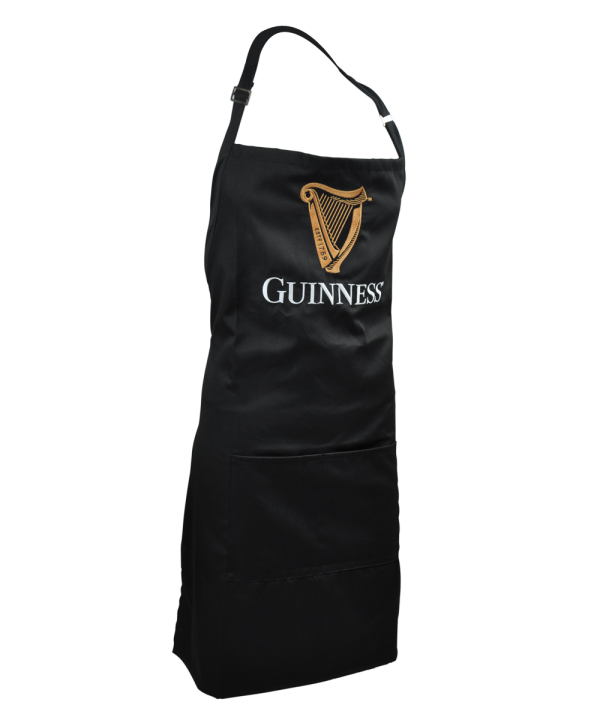 This Guinness apron is fantastic for the man or women who love to cook The apron features the Guinness Harp Logo across the chest. The apron comes in black with 2 x large pockets made from a poly-Cotton material. Machine washable. Size: Length: 90cm Width: 70cm with adjustable neck strap. Made from 100% cotton. Official Guinness merchandise Suitable for barbecue season.